Corey has been mountain biking on the local trails in Orange County for a short time, pushing himself to learn more, staying in shape, and racing, but always having fun. Corey has been with Dianese’s retail D-Store for 4 years as a Sales Associate. Corey doesn’t just sell their product’s, since he has keen knowledge of the products inside and out, from their moto line to the mountain line, and snow lines, also AGV’s helmet product line. He also assist marketing at events by talking to dealers, magazines, or customers about product features. All this comes from an understanding of the product features, but form using them on the street, in dirt, and on the snow. This coming 2011 Corey Pond will be moving up to the highly competitive 19-26 expert class. Art Began racing in 97’as a beg, 98’ moved to sport, and 99’ moved to expert racing for STORM Cycles. 2000, 2001 he was picked up by DIRTWORKS Bicycles, by 2002-2004 he raced and help co-manage the ATOMICBIKES dh team. Top five, and top ten overall finishes in Am-Cup, Cal-State, and SRC. Top ten, top twenty finishes in National events. Placed second in SRC overall expert class 43-50 in 2009. 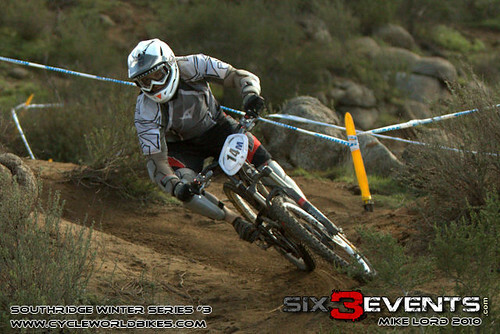 He currently works for Agv / Dainese USA’s warranty department, he also helps with the mountain bike product line at races. “I’ve had fun racing and riding, and meeting new people all around the mountain biking scene and it’s always fun working with great people. I look forward to being around a great group of guys and gals in 2011, Thanks for welcoming me aboard”. 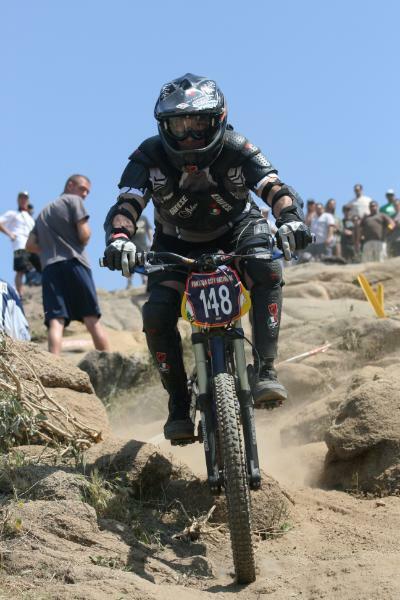 Want to join the MtnBikeRiders.com Race Team?